Known to tourists as a shopping paradise and a leading business hub, Dubai is unveiling its eco-tourism face. "Eco-tourism, another main attraction in Dubai's tourism industry, aims to attract tourists, such as bird watchers, scientists, researchers and students from within the country and abroad," said Hamdan Al Shaer, director of the environment department at the municipality. Unveiling the project June 15, 2004, Al Shaer said the Ras Al Khor Wildlife Sanctuaries located at the head of Dubai Creek will be opened for people as part of the first phase of a project to promote Dubai's eco-tourism. "Three Watch Towers are being built in the area, fully equipped with modern facilities for bird watchers and other visitors," he said. The total area of the sanctuary is 6.2 sq. km and is surrounded by a buffer zone. It will be open to public later this year. Some other major sanctuaries in Hatta, Al Awir and Jebel Ali will also be developed. More than 88 species of birds are found here and an estimated 313 species of wild fauna and flora have also been reported. Nearly 25,000 birds are seen in this area in January. The density of waders in the sanctuary is 21 birds per hectare in spring and autumn, and 60 birds per hectare in winter. 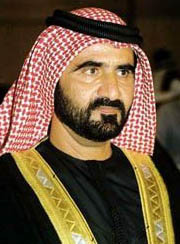 Highlighting its importance, Sheikh Maktoum bin Rashid Al Maktoum, vice president and prime minister of UAE and ruler of Dubai, issued Law No 11, 2003, for the Establishment of Protected Areas in Dubai. The law specifies the aim, general policies and management of the wildlife-protected areas. The key activities being undertaken by the Environment Department for the management of sanctuaries are: assessment of the wildlife species, their present status, threats and possible future conservation scenarios. The UAE national carrier Etihad June 15 announced that it was going to double its flights to London by 50 percent to increase the total of its weekly flights to 15. A statement by the Airline said that flights would be scheduled as day and night flights to give more choice to passengers. 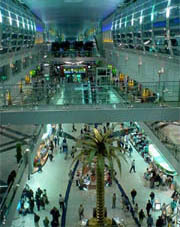 The new schedule will be effective from Oct. 26, 2004 with the start of Al Etihad's winter season schedule. Dubai Duty Free's position as a global airport retailer took another step forward with the release of new statistics from the Swedish-based Generation Group, which ranks Dubai Duty Free as the third largest duty free operation in the world in terms of turnover. The statistics, which are based on 2003 figures, show a jump of two places for the operation which recorded sales of US$380 million last year and places Dubai No. 3 after Heathrow in London and Incheon Airport in South Korea. First quarter sales at Dubai Duty Free reached US$118 million, while figures for the first five months show a 47 percent increase over the same period last year. We expect to close the year with a turnover of US$500 million, which should keep us in the top three ranking for another year.' Dubai Duty Free celebrated its 20th anniversary in 2003 and sales in that time have grown by 2,000 percent. On the anniversary day (Dec. 20, 2003) sales reached a record US$1.9 million, which represented over 35,000 sales transactions. Civil Aviation authorities in Canada and the UAE are working towards introduction of non-stop direct flights between the Dubai and the Canadian capital of Ottawa. Senior trade commissioner at the Canadian Embassy, Shaun Wedick said that a bilateral agreement between Canadian and the UAE civil aviation authorities is already in place. Emirates Airline and Gulf Air have already shown interest in initiating non-stop flights linking the two countries, while Etihad Airways has also indicated keen interest to explore the prospect of flights to Canada, he said, although it is as yet unclear when the flights will take to the skies. Such a direct flight facility is necessary considering the growing interaction between Canada and the UAE in all spheres of bilateral activity that has led to a rise in density of two-way traffic, he said. For instance, as many as 600 students, both nationals and expatriates, on an average every year from the UAE, gain admission to universities and educational institutions in Canada. 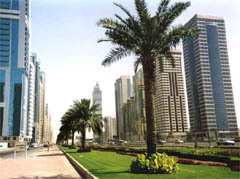 Wedick said that the volume of bilateral trade between Canada and UAE has also been registering steady increase, with the value of exports from Canada to the UAE rising to 342 million Canadian dollars in 2003 from the figure of 272 million Canddian dollars for the previous year, while Canadian imports from the UAE during the same period rose from 29 million to 39 million Canadian dollars. Emirates engineers have successfully completed one of the most ambitious and extensive aircraft reconfiguration projects they have ever undertaken. Its timely completion has helped the airline to expand and offer extra capacity to meet growing demand. 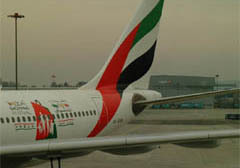 Emirates signed a lease agreement for a fleet of eight Airbus 340-300 jets in September. 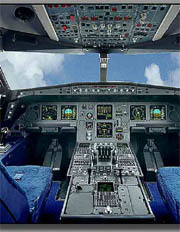 The reconfiguration required the removal of the entire cabin and cockpit furnishings and avionics instruments and stripping the aircraft to bare metal. Engineers also relocated and installed seats, galleys, side panels, toilets and the video control centre. The layout was changed from 10 First, 30 Business and 223 Economy seats to 12 First, 42 Business and 213 Economy seats.